AN INSIDE VIEW ON PRODUCING TODAYS ENTERTAINMENT. During my study of directing and screenwriting in Los Angeles almost 25 years ago, people surrounding me could almost all imagine what my job description in the movie business is. But that was not the case with the work of a movie producer. In their minds, they had the picture of a bald man in his golden years. A man with deep pockets, full of money and ready to finance the next blockbuster – and someone who enjoys his spare time by celebrating decadent parties, surrounds himself with beautiful men and women, drinks Champagne and drives fast and expensive cars as well as lives in a luxurious villa. And they also could not imagine women performing this profession. Until today, nothing of that perception has changed significantly. Working in the business for more than two decades myself, I met a lot of studio- as well as independent producers as well as filmmakers and gathered some impressions about the real lives of such people. Sure, there are a few producers that perfectly define that publicly visualized image – but most of them are just normal, decent people that share one big passion: the passion for good movies. 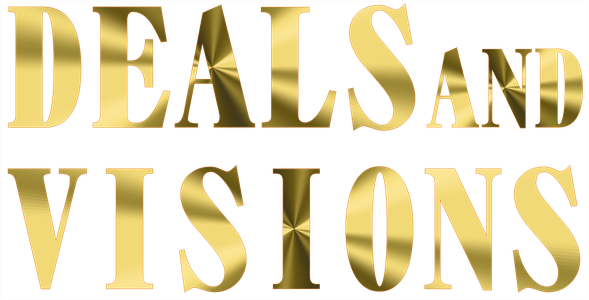 With „Deals and Visions“ I want to show the worldwide audience what it is really like to produce today's entertainment - and how it has changed over the last few decades. What a hard, nerve-wrecking fight it sometimes is against the ever-growing competition. I furthermore want to invite the audience to the places in Europe and the USA where the real deals are made and give renowned movie producers as well as filmmakers a platform to describe their job and tell us about their experiences in their own words – be they good and/or bad. Copyright 2017 Magic Entertainment / Hallmann Entertainment Company. All rights reserved!